Welcome to Digital Digest! It is a slow news week this week (except on the MOD front! 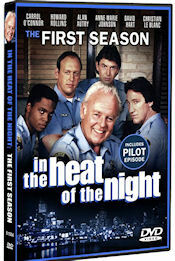 ), but we're here with your news and a review of a DVD that has been out for a few months (but came out under the radar) with our review of In the Heat of the Night - The First Season. Let's get going! 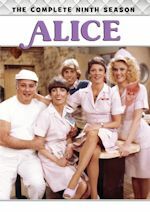 Hopefully, fans of Alice are enjoying the recent Warner Archive release of Alice - The Complete Second Season... because it may not be too long until we see the third season! 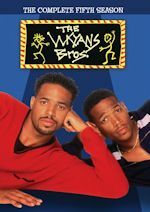 This week, on the Warner Archive Facebook page, there was an indication that the third season of the classic series is already in the works for a DVD release sometime next year! There isn't any precise information here, but it is great to know that Warner Archive is already planning for a release, and we'll have more for you once we know more. We should also say that another TV series release... something that we can't disclose just yet... is coming very soon (as in the next week or so) from Warner Archive, and we know that fans of this series will be pleased to see it continue on DVD (it has already been started). Stay tuned, we'll have more when we are able to say more! That isn't all from Warner Archive for this week. Earlier this week, Warner Archive released CHiPS '99, the reunion movie based upon the classic series, earlier this week. Last season, CBS aired a sitcom called Rob, which many people have probably already forgotten about. But for those who liked the series, there will be a chance to relive it on DVD (in MOD format) with Rob - The DVD Edition! There don't seem to be any details on this set just yet, not even any information on when it'll be released, but we'll let you know more later. TVShowsOnDVD.com passed along a bit of information this week regarding Alfred Hitchcock Presents, and how the sixth season of the classic suspense series is said to be on the way from Universal. While it is sparse on details (just like every other piece of news we have this week, unfortunately), it does appear that Universal will be moving ahead with the series, and this particular release will leave only one season of the half hour episodes unreleased. Tuesday (November 6) isn't a very big day for new releases, although it does bring Entourage - The Complete Series (DVD/Blu-ray) and The Life and Times of Grizzly Adams - Season One. We don't have review copies of either of these sets yet, but we hope that we do have them soon. In the '70s (and even into the early '80s), Carroll O'Connor entertained Americans as Archie Bunker, the loudmouthed and hateful (yet somehow loveable) bigot who had trouble adapting to modern society in Queens. A decade later, Carroll O'Connor made his return to TV as Bill Gillespie, but it was a little different this time. Now, he is a sheriff in the deep south, in a town where even Archie Bunker would be seen as "too progressive," trying to solve crime in a backwoods southern town where racial tensions run high. Everything becomes even more complex when he gets a new chief of detectives (even though the department doesn't even have any detectives) from Philadelphia, Virgil Tibbs (Howard Rollins), who happens to be black, and not exactly gaining the respect of the town from the start. 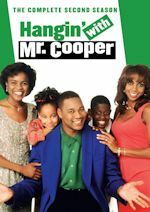 For the first time ever on DVD, TGG quietly released the first season of this classic series a few months ago, under license from MGM and Twentieth Century Fox Home Entertainment. I don't know if the episodes are completely unedited, but there is one very good thing that I can say about this episode. The music within the episodes actually seems to be intact, including some stuff from Huey Lewis and the News. Who would have ever expected music to remain intact on a DVD with a $7 MSRP when the major studios are cranking out $40 sets with music replaced? Runtimes are as follows. The packaging for this set is basic, but perfectly functional. 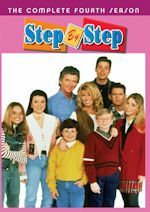 The cover art has a cast photo, along with a listing of all of the cast members at the top of the case. On the back, there is a VERY brief description of the series, and a listing of all of the episodes on the set. Inside the case, you'll find the two discs, which have a large photo of O'Connor on both of them. The set uses one of those annoying Viva Eco-Box's with those recycling logo cutouts, but honestly, this is much better than some of those low budget cases we see on a lot of sets like this. The set doesn't offer a whole lot in regards to menus, but they are professional looking and serve their purpose. The main menu on each disc has the same photo seen on the cover art, and has a listing of all of the episodes on it. There isn't anything else to the menus, not even a Play All option... but technically, if you play the first one, you will get the play all feature. That is because TGG has done something that I've seen happen on many lower budget DVDs that I really don't like: they've put all of the episodes on each disc as one really long feature, rather than creating separate "features" for each episode. At least there are chapters placed between the episodes, but the same can't be said about what happens within the episodes. The only chapters placed within episodes are ones placed immediately after the opening credits. The video and audio quality of the episodes on this set is excellent. The episodes do show some age, of course, but I honestly do feel that they look and sound as good as anybody could possibly expect. Unfortunately, the set is lacking on subtitles or closed-captioning. There are no special features on this set, but you can't really expect any for a set that has a MSRP under $7 to begin with. This release is, by all means, one of the most mysterious releases that we've ever reviewed. For starters, we're not really sure why TGG released this under the radar, directly to the "bargain bins," without so much as even an announcement that it would be coming to DVD. We're also not sure why this DVD has been so hard to find. As of the time that this blog is being posted, it is in stock at amazon.com, but that hasn't been the case every time that we have checked over the past month. It hasn't shown up in any stores except for the Walmart bargain bin, and good luck finding it in there. And when TGG followed up with In the Heat of the Night - 24 Hour Marathon recently (which we were hoping and planning to review this week, but couldn't since we couldn't find any way to contact TGG or find a place that was not out of stock on the item), we ended up with a set that was even harder to find. Regardless of all of this, though, we think fans will be very pleased with one (or both) of these releases if they can find them, and they're definitely worth picking up. I actually never knew that such high quality could be obtained on a DVD set sent straight to the bargain bin, and this set certainly demonstrates that. I'm hoping that we'll see more seasons of this series come soon, and it would be even nicer if they were actually in stock. Who to Follow: Brian Baumgartner (Twitter), "Brand new year, same outlook. lets do this thing. i play Kevin Malone on The Office, and i like sports." Claim to Fame: Plays Kevin Malone, the dimwitted accountant on The Office. Why You Should Follow Him: Anybody who has ever watched The Office knows all about Kevin Malone. Dunder-Mifflin is filled with a diverse crowd of employees, but among them, there are none even nearly as, well, stupid as Kevin Malone, the character that Baumgartner plays. On the series, Kevin is presented as the guy who applied for a meaningless job in the warehouse, but was just given a job as an accountant because his boss, Michael Scott, "just had a feeling." Baumgartner's portrayal of his character on The Office is just incredibly convincing. When you see his character, the first thing that may come to mind is that he is a complete moron. Of course, that is pretty far from the truth, and in reality, Baumgartner is actually very intelligent and nothing like Kevin as demonstrated by his Twitter feed. On Twitter, you can follow "Kevin," but the Kevin that you follow is nothing like the guy that you see on TV, as he discusses any topic that comes to mind (whether it be The Office, politics, sports, or whatever) in ways that you could never even remotely imagine Kevin discussing them. And it really is fun seeing a different side of Baumgartner here.